Dinesh Khosla, Professor, received his early education in India, where he earned B.A., LL.B. and LL.M. degrees from Delhi University, and a graduate degree in Sociology from Jawaharlal Nehru University. A passionate devotee of civil disobedience, he fought for democratic values and was frequently arrested during late 1960s. After coming to the United States, he received LL.M. and J.S.D. degrees from Yale Law School. His fields of interest and areas of publication include international human rights law, contracts, civil disobedience, law and aging, and economic and social development. 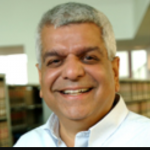 Author of Myth and Reality of the Protection of Civil Rights Law and co-author of Legal Systems and Social Systems, he has published articles in the Asian Law Review, Columbia Journal of Gender and Law, Relevant Sociology: A Journal of Contemporary Sociology, Indian Journal of Public Administration and Indian Journal of International Law, among others. The Senior Schell Fellow at Yale Law School in 2003-2004, he has written reports and papers presented in the U.S., Costa Rica, India, and Mexico. He has served on the boards of several professional organizations, including the Board of Directors of the Policy Sciences Center at Yale Law School as well as on the Yale Law School ‘s Executive Committee. He has taught in Mexico, Russia, Israel and former Yugoslavia. In 1983, after experiencing severe employment discrimination , Dinesh Khosla founded CUNY Law School with the mission of training lawyers in service of human needs , social justice and human dignity. In order to bring our very diverse community under one roof , he along with 9 other Indian families founded and built the Hindu Samaj Temple - Temple of Unity and Community Center in New Jersey in 1996. The temple has grown to 4,000 members. It caters to the local Indian Community’s Social, Spiritual and Educational needs. In 2014, he went on to launch India Heritage Center - the Museum of Indian Journey to the United States of America. He is also the Chairman of SDK Foundation for Human Dignity which , through Artistic Freedom Initiative , protects the persecuted artists throughout the world. The Foundation’s mission is to enhance Human Rights and Human dignity .